New!! 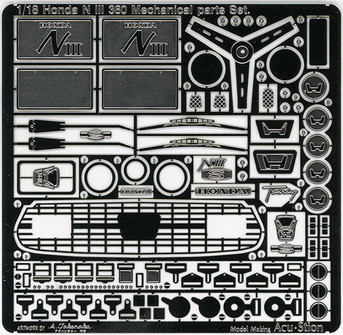 each products :: ACT-0176 1/18 Honda N III 360 Mechanical parts Set. Home/New!! 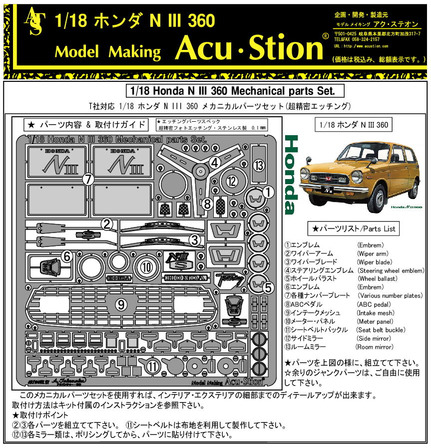 each products/ACT-0176 1/18 Honda N III 360 Mechanical parts Set. 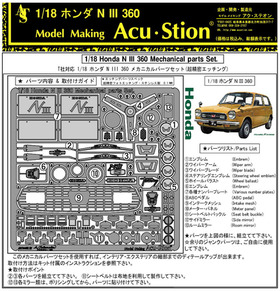 ACT-0176 1/18 Honda N III 360 Mechanical parts Set. 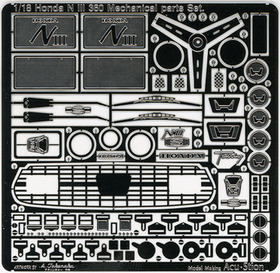 TAMIYA by 1/18 Honda N III 360 Mechanical parts Set. ★Standard, mechanical part Set. Front grille. emblem. meter panel. seat belt. buckle. etc.